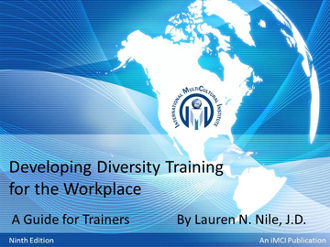 This is a comprehensive manual for developing and delivering a one-day workshop on Valuing Cultural Diversity in the Workplace. This easy-to-use guide contains a wide range of training materials and training tips and an extensive listing of resource references. It is designed so that individual lecturettes can be used with different exercises, simulations, videos, and role-plays in order to tailor the workshop to meet specific training goals.